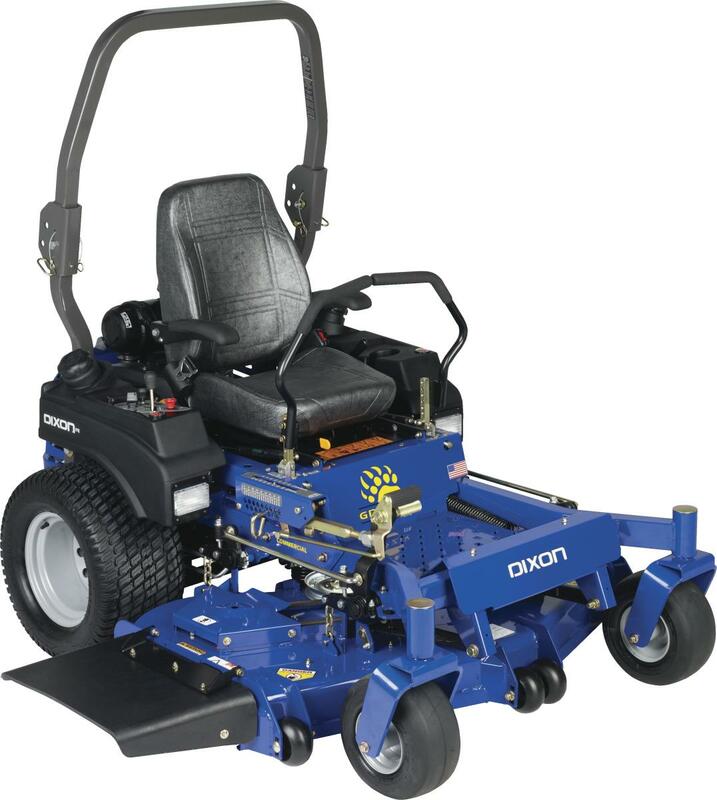 We sell and ship Dixon DX148, DX152 & DX161 Mower Parts! This information is about Dixon DX148, DX152 and DX161 lawn mowers. The DX148 is powered by a Kawasaki FX651V engine rated at 20.5 horsepower. The DX 152 has a larger engine, the Kawasaki FX691V rated at 22 HP, and the DX161 was made with either a 28 hp Briggs & Stratton or 23.5 Kawasaki FX730V 23.5 HP engine. These are all 2-cylinder air-cooled engines. Gasoline mower fuel tank volume is about 11 gallons in the dual side-mounted tanks. These mowers have full pressure lubrication systems with an engine oil filter. Drive systems consist of a high quality hydrostatic transmission with a pump displacement of 12 cubic centimeters. The hydro pumps are fan-cooled. Mower decks are 11-guage steel, are a 3-blade design and are engaged by 200 ft-lb electric clutches. Deck lift system is operated manually with a foot pedal. The mowers have a digital hour meter.